Whether you own a fleet or prefer to purchase several forklifts, just know that you are making a major investment for the efficiency of your business. On a constant basis, new advancements in the forklift industry constantly make an impact, but all these are not always cost-effective for small or new businesses. Keep in mind that purchasing used Moffett’s is always much more beneficial compared to investing in a new one and in this article, we would like to tell you exactly why you are making the best choice. Note that purchasing used Moffett’s always offers notable benefits compared to ever before and has an impact on the budget. Before, most of the companies investing in used equipment did not have the right option to cut away capital spending costs and used did not actually have an impact on the operations. There are several benefits when it comes to purchasing used, improved Moffett’s, and we would like to give you a breakdown of some of them. Based on new tax laws, most pre-owned Moffett’s or material handling equipment often cost much less, about 50% less than other newer ones. When purchasing used forklifts, increased buying power is usually a huge draw. The amount you spend buying a new one means adding more money compared to a used one. All depending on your budget, you should be able to purchase two used Moffett’s for the price of a brand new one. In addition, for a used machine, the parts often cost less. In case there’s a need for repairs, an older forklift will be less expensive to repair in the long run. Furthermore, used attachments and forklifts are often less costly compared to purchasing new ones. If you purchase pre-owned accessories or attachments, this will mean that you are able to spend less and focus on other areas of the business. In addition, when you consider buying a used Moffett, it shows that the forklift you are planning to purchase is a reliable one. It often means that the equipment has gone through extensive servicing and inspection. 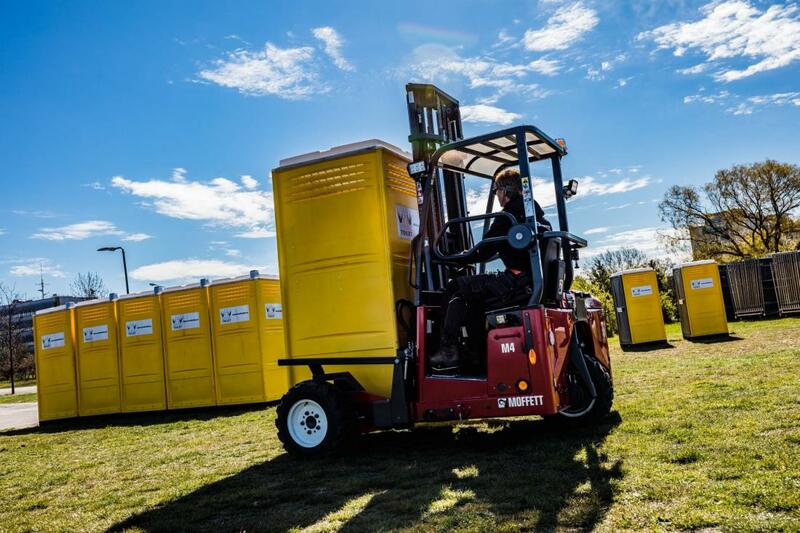 Since we have experience in the sales of used Moffett’s, we are better positioned to give you a detailed history of the vehicle, and we can give you other suggestions on how you can use each one of the forklift models properly. Furthermore, employees often feel more at ease when they purchase used equipment. The reason behind this is that they have a better idea of the features and all the capabilities of the model, which means they have the right training and the skills to drive the used Moffett properly. When you visit us at Bobby Park Truck & Equipment, our experts will take you on a tour in-person around our inventory. We are proud to say that when it comes to used Moffett, we can assist you with the specific details you are searching for in a forklift. We can assist you with machinery questions, logistics, sales, and any other information that you need in order to make a well-informed decision. We assure you that each used Moffett lift truck model you find in our inventory meets with the required safety standards and durability. For further information on the models of Moffett we have, feel free to contact us today.